Throw one on my barbie! 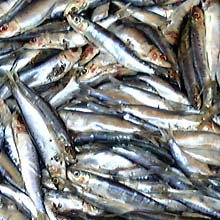 Over the last couple of days 93,000 kilos of sardines with an average cost around eleven euros per box of twelve kilos have been auctioned at Torrevieja. The agreement reached by the Federations of Brotherhoods of Fishermen of the Valencian Community and the Region of Murcia to limit catches to three hundred boxes of fish per boat per day has effectively stabilized the price of fish in the Torrevieja fish market. Less than a year ago the fishermen were governed by the national norm which established a maximum of five hundred boxes per boat per day. By reducing their catches the fishermen have both improved fish stocks and maintained prices. These are some of the pictures taken of our performance. For those of you not familiar with VoIP telephony it is a way of using the Internet to make cheap phone calls. There are three things you need: a broadband connection, a VoIP phone and a VoIP account. 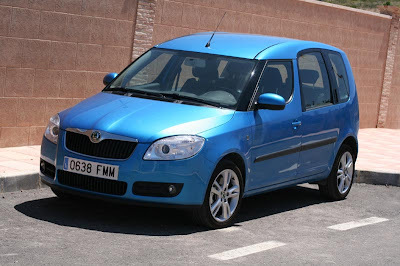 VoIPtalk also offer monthly packages the cheapest of which is the Silver Service. For £2.99 plus VAT per month you get a local UK number and reduced call costs. For example we have a local 0161 Manchester number. Current call costs are 0.9p at peak times, 0.5p evenings and 0.2p at weekends to Europe which are of course much cheaper than Telefonica's charges. To take advantage of the service though you need a VoIP phone. Many of these have a USB connection that plugs into a port on your computer. Although very good, they obviously only work when the computer is switched on. Far more useful are the ones that connect directly to a broadband router. With these the phone is available even when the computer is switched off. They are not cheap though but I have a spare Grandstream 100 which I am willing to sell for half price at 30€. If you live locally and have a VoIPtalk account I will even set it up for you to make sure it is working properly before you buy. It seems that the PSOE (socialist) party maintained control over Bigastro. So Jose Joaquin Moya Esquiva will continue to lead the town for a further four years taking his total time as Mayor to 28 years. I don't know the figures yet i.e. the turn out and the margin. Four years ago it was a close fought election so it will be interesting to see whether things have changed this time round. When you consider that 50% of the employment in Bigastro is in the construction industry it is easy to understand why Bigastrense might have been wary of the PP manifesto which talked about a slowing down of population growth and stopping plans for new development. Local people obviously believe that the PSOE proposal to allow the town to grow by a further 30% will mean that those jobs are secure for the near future. Let us hope that the necessary infrastructure is available to sustain that growth; particularly water resources. Let us also hope that, in a market where house sales have slowed right down, the town can attract a broader range of employment opportunities for the future. More to the point though, let us hope that the Council can balance its books without selling off more of its land resources. The Homes and Garden Show yesterday was very good. There was a lot to see and take in, plenty of freebies and piles of literature to bring home. Jilly Golden is actually a lot older than her publicity photograph suggests but Handy Andy is just as youthful looking as we remember him from Changing Rooms. Actually DIY Dave from the Round Town News was much more informative and helpful with the real problems that DIYers face here in Spain. We didn't get to see Kevin Woodford cook in 20 minutes because there was rarely a free seat on the stand where he was demonstrating. Since we are just about the oldest things in our house we didn't bother with the Bonham's stand and Eric Knowles. On hand were various beauty treatments, hair dressing and even eye testing. For sale were all sorts of gadgets and devices along with the usual spas and garden furniture. For the more ambitious spender there were cars and boats to order. So an interesting but exhausting day. For those who missed yesterday, the show is open today as well but only after you have been to vote! 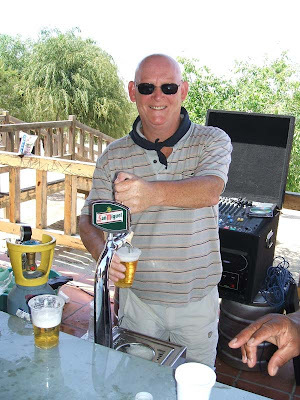 Around 12,000 Brits are registered in the south Costa Blanca area and their vote could prove decisive in close-run battles in many municipalities including Bigastro. British consul in Alicante Juliet Maric said: "We would emphasise the importance of the British community using their right to vote." "If people want to change things, then that is the way to do it." Former Canadian diplomat Charles Svoboda, who is vice-president of the influential group Abusos Urbanísticos No (AUN), said for many reasons the May 27 elections will be the most important ones since democracy in Spain was established. He added: "It is also the first time that non-Spanish residents can play a determining role in the results in many areas." "It is vital that those qualified to do so, exercise their electoral rights after judging what the parties have to offer and their record in delivering on past promises." "No vote - no change for the better, and expect to be ignored in future." Rumours that expats may be disenfranchised in their home country by voting at the weekend have been quashed by the British Embassy in Madrid. A spokesman said: "British citizens maintain their right to vote in national elections for 15 years after leaving the UK." "Local elections in Spain do not affect this right." So we will see you down at the Ayuntamiento mañana por la mañana. A 70-year-old farmer from Molina de Segura, Murcia has grown a 1.4-kilo 22-centimetre-long lemon. 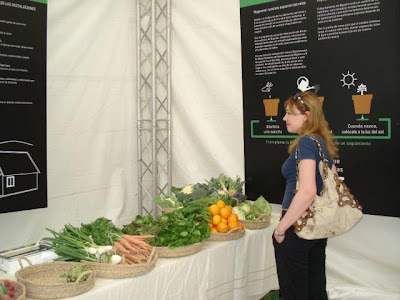 The farmer Juan José Vidal, who also runs also a pig farm, stated that he did not use any special fertiliser to produce the fruit. “I just used a graft off an orange tree and then another graft off a special kind of lemon tree,” he said. Juan José Vidal also said that he keeps fit drinking a juice made with a lemon and three oranges every day for breakfast. 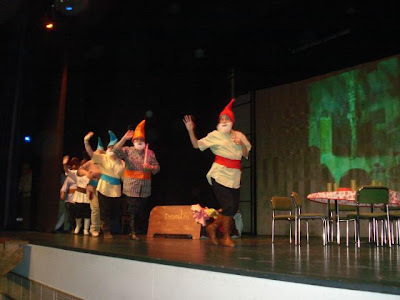 We thought our second performance of Snow White and the seven dwarfs was better than the first. 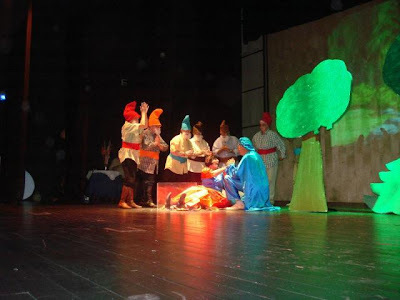 The older children in the audience interacted well with the characters and the plot. More to the poiint they listened whilst we were speaking! Their excitement at the end was visible. They were jumping up and down in their seats and clapping and cheering each character as we took our bows. Some of the cast said "never again" but we will see. In the end it was all worthwhile because the children enjoyed it and their teachers obviously appreciated our efforts. It is our way of giving something back to the community in which we now live which is a good thing. In any case once you have done something like this in Bigastro it goes on the calendar. So we might be stuck with singing carols at Christmas and a pantomime for good! Our first real performance of Blancanieves y los siete enanitos seemed to go down very well with the 3, 4 and 5 year olds from "La Paz". 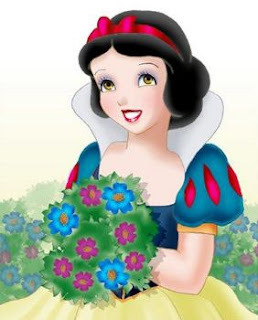 They obviously knew the story well because when Snow White spotted the house of the 7 dwarfs in the wood and said "I wonder who lives here" they all shouted "the 7 dwarfs". Even funnier though; when the Prince was looking around the wood for Snow White the children told him exactly where she was and couldn't understand why he was wandering off around the trees. Today it is the 6, 7, 8 and 9 year olds turn. We hope they enjoy our little production as much as the infants did. As everyone who knows me understands I am not a football fan. I rarely if ever watch a game and have no interest in any particular team. However, when the team from my place of birth and the team from the city where I worked are involved in major trophies I feel it is only right to make a special effort. Saturday I was routing for the reds of Manchester who should have beaten Chelsea with that goal by Ryan Giggs. Last night I was routing for the reds of Liverpool who should have beaten Inter Milan on their performance in the first half. So that is it - no more football. If the team I'm supporting can't win then I'm not interested! 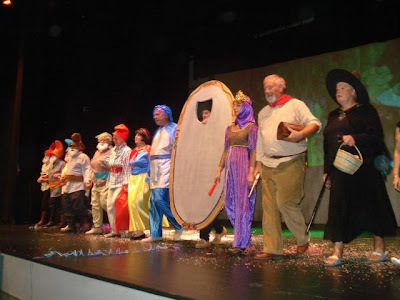 We had our final dress rehearsals yesterday for our production of "Blancanieves y los siete enanitos". A few changes to the props and the scenery may have given us last minute nerves. Every one made minor mistakes which we haven't made before. However they say that to make mistakes at the dress rehearsal is a good sign; let's hope so. 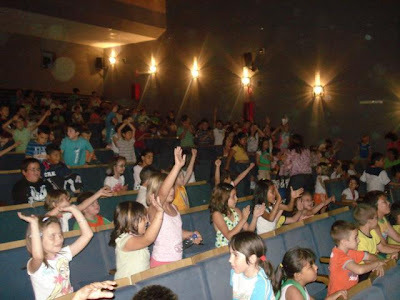 Today at 3:30 pm infants from " La Paz " school will attend and on Friday at 4pm it is the turn of the primary children from the " San José de Calasanz " school. With two to three hundred children watching we want to get it right. So in the best tradition of the theatre wish us all to "break a leg". Waiting for Telefonica must be the most frustrating experience ever. Some of the people on our estate have lived here for four years without a telephone. Then Telefonica arrived with their cable from the village and all our hopes were raised. Sure enough a couple of weeks later blue vans appeared and people started to get their phones. The deal is that you receive a call to tell you when the installer will arrive. Then you wait for him to come. In some cases you wait and you wait and you wait. In our case we didn't get a call, the man just arrived one evening. It hasn't make any difference though because we still don't have a connection. In our case the line that the installer had activated was in the box down the road. We couldn't take a cable down to that one though so we took the cable to the box at the top. Now we needed the line in the new box to be activated. That was supposed to happen the next day. The next day came and we were told that actually we needed a new number -the man would return mañana pasado. After mañana pasado, pasado I phoned Telefonica yesterday to find out what was happening only to be told that our order had been cancelled. I don't think that the man at the other end of the line understood me fully when I explained that we already had a phone, a router and the cable from our house to the box in the road and that all we needed was the line activating. I'm not sure which is worse; to still be waiting for a call to say when your installation will take place, to be waiting for the installer to arrive or to have a phone but have no connection. Once you have the phone though the sting isn't over. You then receive a bill for your connection which might be more or less than your neighbour's bill. One couple told me that they'd paid more for just a phone than another couple had paid for a phone and ADSL. Telefonica are starting to make BT look good! A diver discovered 1,500 kilos of hashish on Los Jesuitas beach near Torre de la Horadada at 12.20 on Saturday. He telephoned local police who confirmed the haul was the illegal drug. The blocks of hashish were later impounded by the Guardia Civil. We've now had the chance to listen to both of the main contenders for the election and to read their manifestos in English. How do we make a choice? The PSOE party have been in power for 24 years with the same Mayor for the whole of that period. On the other hand the PP party have had little influence in the town during that period. So is it time for a change? It goes without saying that a change could make matters better or it might make them worse. Maintaining the status quo is easier but is it the best option? It makes sense to sell off assets i.e. land that is surplus to your requirements and then use the money to pay for something beneficial. It is not a policy that you can continue year in year out though as the Labour Council in Liverpool found out their cost in the 80s. At some point you have to balance your normal income with your expenditure. When will the PSOE decide that is what they have to do? The PP party on the other hand are promising a lot which is what most political parties in opposition would do. Whether they can deliver their promises and at the same time remain solvent is a good question. Where will they find the money to develop their ambitious plans whilst at the same time buying back the land that has already been sold? There are only six days left to decide. It should be interesting. On the 23rd April we had a meeting with Aurelio Murcia González, candidate for the PP party. Last night it was the turn of the PSOE or socialist party headed by the current mayor Jose Joaquin Moya Esquiva. 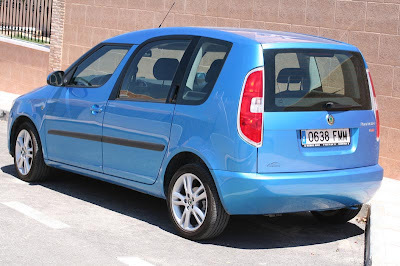 The PSOE had gone to a lot of trouble by first of all sending a car round in the morning announcing the time and place of the meeting in English. They opened the meeting by showing us a presentation highlighting their achievements over the last four years. Again the commentary was in English. There were printed manifestos in English, free drinks and lighters to give away. When the presentation finished, the Alcalde spoke to us in Spanish followed by translations into English by one of his assistants. It was an impressive effort to keep us informed. Finally the floor was opened up for questions. Inevitably there were questions related to our particular circumstances e.g. the slow progress that Telfonica are making installing phones. These were followed by more pertinent questions about the finances of the town. The Alcalde explained that insufficient funds had been made available to Bigastro from both regional and National governments. Bigastro therefore had to take out loans and sell off municipal land to carry out their program of development for the town. He further went on to explain that there was still more land which they could sell to finance future projects. 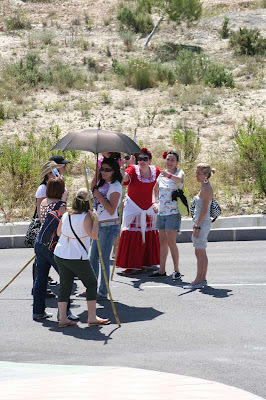 The PSOE's vision for Bigastro is a town of 10,000 inhabitants which represents an increase of 33% or 2,500 people. At the same time they wish to keep the rural nature of the town and promote the concept of Citta Slow. Their priority is to allow the building of affordable apartments and pisos rather than detached houses to attract young people back to the town. They also want to promote tourism in the town hence the plan to build an aparthotel with conference facilities on the rural land of the Pedrera. Unfortunately we missed the end of the meeting because we went down to the Auditorium to see the Cuban ballet. Sadly there were only a handful of residents from our estate in evidence at the Auditorium which was a pity because their performance to a packed theatre was excellent. We were invited down to the school for a "fiesta" this lunchtime. We didn't know what to expect but thought it might just be a buffet. In fact it was much more than that. We left the tables groaning after three courses of food. Footballing greats from the past 50 FA Cup finals at Wembley will be taking part in the opening ceremony before Chelsea meet Manchester United at the new stadium this afternoon. Prince William will be the chief guest as the £757m stadium goes on show for a worldwide television audience. There will also be a celebratory Red Arrows fly-past for the 90,000 crowd. These are among a series of events planned by the Football Association as the final returns to Wembley after a seven-year absence. Other highlights will include the marching band of the Corps of the Royal Engineers, who won the cup in 1875, plus big screen footage of both clubs' roads to Wembley. However, many fans are unhappy about proposed prices within the stadium.Fans of both Chelsea and Manchester United are being advised by their peers to boycott food, merchandise and programmes inside Wembley on Saturday. Steve Powell, head of development for the Football Supporters' Federation, said: "Football fans are fed up of being treated as turnstile fodder who will pay whatever they are asked, so we are asking fans to boycott the catering outlets inside the stadium." An official match programme will be priced at £10, a burger will cost £5 and a pint of beer £4.50. Wembley PLC insists it has taken fans' concerns on board and that a survey of 1,500 fans after the England Under-21 game against Italy found customers were concerned about queues and temperature of food more than prices. There has also been criticism of ticket prices for the game. Of the 25,000 tickets allocated to each club, only 4,000 were £35, with the rest costing £60 and even £95. And about 400 individuals and companies who had spent up to £10,000 to join "Club Wembley" - which gave them a licence to purchase tickets at the stadium for the next 10 years - had not received their tickets for the final on Thursday because of a computer problem. Wembley PLC promised to contact all the individuals affected and to courier tickets to them if necessary. "We are sorry it happened and will conduct internal enquiries to make sure it doesn't happen again," a spokesman for the company told BBC Sport. Football League chairman Lord Mawhinney admitted it would take time for things to run smoothly at the new Wembley. Saturday's final is the first showpiece event at the stadium, which was originally planned to cost £326.5m and be open in time for the 2003 FA Cup final. "It will take us all a little while to get used to get used to an efficient administration of occasions here at Wembley," Lord Mawhinney said. "We need to have arrangements where people can get smoothly in, smoothly out and fed smoothly. "There is just a learning curve to go through." The Football Association will hope its pre-match events on Saturday can placate any unhappy fans. Des Lynam will interview Sir Bob Geldof, who organised the Live Aid concert that took place at Wembley in 1985, Sir Henry Cooper, who floored the then Cassius Clay at the stadium in 1963, and Sir Geoff Hurst, who scored a hat-trick for England in the 1966 World Cup final victory against West Germany. Other guests will include Peter McParland, scorer of both Aston Villa's goals in 1957 through to Marcel Desailly, who won the Cup for Chelsea at the last Wembley final in 2000. Ricky Villa, scorer of one of the best-ever Wembley goals in Spurs' victory against Manchester City in 1981 will also be present as will Mark Hughes, the only man to have won four FA Cups at Wembley. Players will go for the traditional walk around the pitch before local Brent schoolchildren parade the colours of the 72 teams who have won the cup between 1923 and 2000. PS I was born in Manchester and we lived most of our lives in the North West so guess which team we will be supporting! Unlike in England, where first past the post wins, Spain’s voting system is based on proportional representation. Also, unlike in England, turn out for local elections is usually high e.g. four years ago the turn out in Bigastro was apparently 92%. Each town council has a certain number of council positions according to the size of the population. In Bigastro there are 13 council positions (NB the number is always odd to prevent stalemates). Each position, from one to thirteen has a certain number of votes attached to it. So the party that wins the most votes gets the prime position, the mayor, and then the number of votes carries on down the list and the council positions are divided up between the various parties who were voted for. So each party numbers their candidates in ascending order with a few reserves. A recent law states that 40% of the candidates must be female. As with all positive discrimination laws, people find ways around it so some parties put candidates forward who have no intention of taking a seat on the council, hence the reserves. Residents of Bigastro who registered to vote in good time will by now have a card which tells them where they are to cast their vote. To vote you need to take some form of photographic identification along with you i.e. a passport, driver’s licence or residencia card. Inside the polling station there will be a table piled high with voting slips for each party. This year there will be two different coloured slips beige/orange slips for the Valencian regional election and white ones for the local election. It is very important not to mark the voting slip because a marked slip is a spoiled vote. When counting takes place all the voting slips are checked and political party representatives who are present will make sure any opposing votes that are marked are discarded. Once you have the right slips, place them in one the envelopes provided i.e. white for the local election and beige for the regional election. You then go to the desk, show your identification and your electoral card, get checked off the list and then place your voting slips, inside their envelopes, into the clear, Perspex, ballot boxes. That is it! The PP party has already delivered voting slips in envelopes to our estate so if you want to vote for them just take the envelopes down to the polling station with the slips already inside. They have also delivered a copy of their manifesto translated into English to us. Whether the other two parties will do the same is hard to say. Once all the voting has taken place and the polling stations have closed, then counting will begin. Once the result is known then proportionally the council seats will be divided up between the various political parties.The one with the most seats on the council will have their number one candidate proclaimed as mayor. Four years ago the election in Bigastro was a close run thing (85 votes separated the two main parties). The PSOE party got seven seats and the PP six so the current Mayor (Jose Joaquin Moya Esquiva) represents the PSOE. His rival in the PP party for this election is Aurelio Murcia González who of course built our houses and lives on our estate. On Saturday at 8:30 the quartet of saxophones, "Ars Musicandum" will be performing at the Auditorio Municipal. On Sunday at 8:00pm it is the turn of El Ballet Folklórico de Cuba . The group includes more than 100 musicians, singers, percussionists and dancers. Apparently we can look forward to a succession of afros, santerías, yambús, congas and popular traditions of Cuban music. Judging by the poster their performance should be really colourful. Imagine being on my roof terrace with a glass of wine looking out to this. Oh and did I mention we don't have Gordon Brown as Prime Minister? Prince Harry will not be sent to Iraq, sources said today. The decision is understood to have been taken by the head of the Army, General Sir Richard Dannatt, in the light of the threats to the prince and his men. Prince Harry is “very disappointed” about the decision but will not quit the army, Clarence House said today. Disappointment would not be my reaction - more like relief. I've had my Roomster now for about six weeks so I thought it was time to show you what it looks like. Yesterday started out hot and sunny with clear blue skies and ended up still hot but overcast. 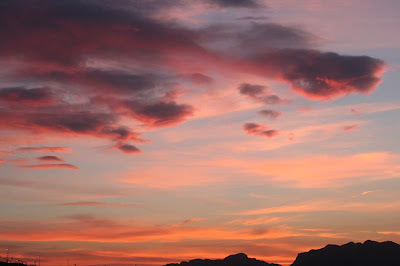 However, we did get this glorious sunset and you know what they say about "red sky at night"? Apparently the heat has been getting to the girls on the roadside. 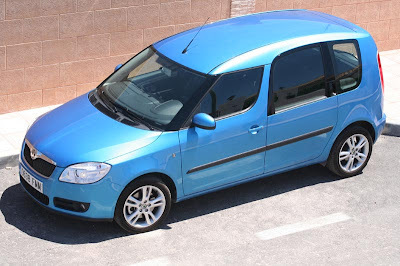 One of our neighbours was driving back from Torrevieja in his new car when his wife spotted two of the girls stark b***** naked by the side of the road. Our neighbour was too busy concentrating on his driving to notice them and only caught a glimpse of their naked backs in his rear view mirror. According to his wife both the girls had beautiful figures and were well worth slowing down for - even possibly turning round and going back for a second look. I imagine that most of the men passing were very pleased by the unexpected treat and that the girls had plenty of customers that day. Of course it is disgraceful and should not be allowed - not after I've had the chance to go down and check it out myself that is!! The Plan General de Ordenación Urbana (PGOU) for extension of San Miguel de Salinas has been approved 15 years after it was first proposed. However, the local council has been forced to reduce the scale of development by 4.5m square metres from 15m square metres to 10.5m square metres. The 4.5m square metres saved includes agricultural land, forest and the spurs of the Sierra Escalona all of which is now protected from future urbanisation. 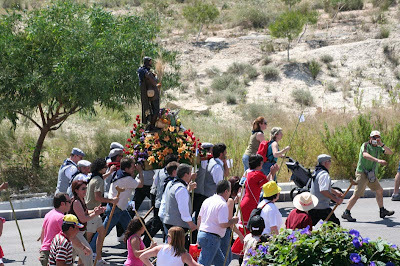 It was a hot day yesterday to carry San Isidro up from the church to the hermitage up at the Pedrera. I imagine the people who accompanied him were glad of the watering stops and even more pleased when the reached the top of the hill at the Pedrera. The procession left the church, following a special mass, at about 11:00am . 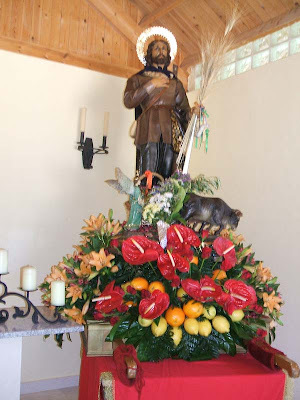 Once San Isidro was in place the party began. There was wine and plenty of beer all donated by local firms and bars. Then there was bean soup, sardines and of course the giant paella which was delicious. 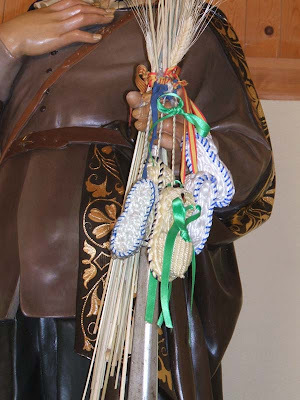 At about 8pm San Isidro was taken back down to the church where he will stay until next year. PS Does anybody know the significance of the shoes? We picked up our voting cards from the Correos (Post Office) yesterday which will enable us to vote on the 27th for the local and regional councils. It looks like we will be voting at table C in the Ayuntamiento. Apparently we need the voting cards and our residencia cards or passports to collect the two envelopes of voting papers. The rules state that parties are not allowed to canvass until two weeks before the elections so we can expect a flurry of leaflets in the next week. Hopefully our Spanish will be up to working out exactly what is on offer. Those of you who haven't had your Telefonica ADSL installed yet or opted not to go with their deal will know that we need to visit the Pedrera tomorrow to pay our next installment to Clear Communications. In our case Telefonica tried to phone us three times to come and install our phone but did so on the old mobile number. Had they phoned the right number that we gave them on the application made in May we would have had 3MB ADSL now and I wouldn't have to trot up to the Pedrera tomorrow. My new computer came with Microsoft's latest operating system Vista. When the machine first arrived it would stall for about 10 - 20 seconds every few minutes or so. Not the sort of thing you expect on a new computer. Fortunately there was a simple solution to be found on Dell's website which cured that. The problem apparently only occurs with Vista and lies with the Intel chipset. There were a few programs that I used on my XP machine which won't work with Vista. Some had updates available others I just had to ignore. I also had to abandon my scanner and web camera which were too old to have Vista drivers written for them. The computer loads up a lot faster than my previous machine and runs a lot faster but then so it should -it has a dual core processor, 2Gb of RAM and the hard drives are in a Raid 0 array. The aero interface is a lot less boring than XP's - more like Apple's OS 10. It is hard to say whether the machine would have been as quick running XP and I certainly don't intend to reformat the drives to test it out! So if you are considering upgrading or a new machine - Vista is obviously going to be the future system. Be aware though that not everything will works as you expect it. Now my next challenge is how to record the footage from my video camera on to the hard drive. According to the Spanish weather channel, Elche recorded a maximum temperature of 34.8 degrees centigrade yesterday. Alicante wasn't far behind at 34.6. 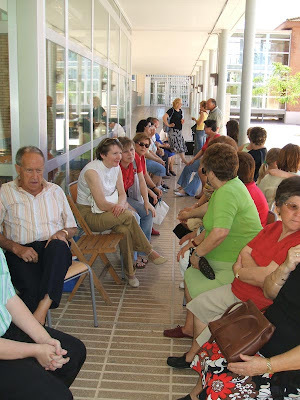 The elderly enjoyed a party laid on especially for them at Torrevieja’s Aquopolis water park on Tuesday 1st May. The day began with dull skies as people arrived at the Aquopolis gates to be given a free baseball cap and a hand-held fan by organisers. By the afternoon the skies had cleared and the sun came out. The event attracted over 10,000 people of all ages and nationalities the majority whom were in the prime of their lives. Free buses were provided at regular intervals from the town centre to take people there. Many though arrived by car. Some enjoyed a game of boules in an area adjacent to the park; others spent their time queuing for free tasters of food, including a sausage platter and paella. There was an on-going barbeque, mountains of chips, giant potato tortilla, and regular snacks throughout the day. Not to mention of course, the tempting selection of cakes and puddings for dessert. Refreshments of wine, beer and soft drinks, were also in plentiful supply. 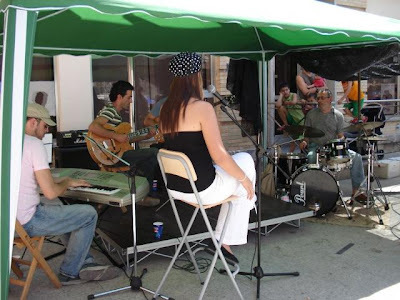 People of all ages boogied-on-down as live music and dancing added to the party atmosphere. All of this was provided free of charge by the Mayor who wants this to be an annual event. Tonight at 8pm there will be an exhibition of Sychronised Swimming in the new indoor pool at the Polideportivo " Molino ". 8:00 am preparing the route from the town up to the Pedrera. 10:00 Mass in the church followed by the parade through the streets with a few "watering stops" up to the little chapel at the Pedrera. 19:30 return journey back to the church stopping at the park for lettuce and potatoes and to burn the fallas. So following the fiesta at the Holy Cross last weekend, it is party time again on Saturday! After all the taunting from our friends in England about the better weather there we are now getting our own back. Since last Saturday we have had nothing but blue skies and glorious sunshine and it looks like this spell of good weather is set to stay. Even the BBC are predicting sun and temperatures reaching the low 30s. So we'll get out the beach chairs and the cool box and make the most of it before the beaches get too crowded. 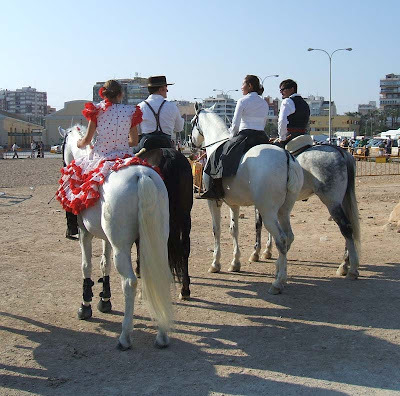 One of the best features of the Torrevieja May fair are the horses which this year came from three riding schoo0ls. Interesting to see that some of the horses had English saddles and stirrups and of course English riders. According to a report on the BBC website, eco friendly Germans are staying at home for their holidays. Rather than jetting off to Mallorca, thus increasing their carbon footprints, they are choosing to holiday in resorts on the Baltic. So it seems that global warming, to which they have contributed in the past, has enabled them to save their euros because it is now as warm in the Baltic as it was here in Spain. So if you find towels on the sunbeds before breakfast just check the labels - they're more likely to be George at Asda in the future. There you are - the cat is out of the bag. 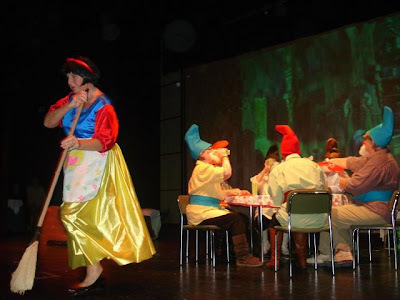 All of Bigastro now knows that we are performing our version of Snow White and the seven dwarfs on the 24th and 25th May. 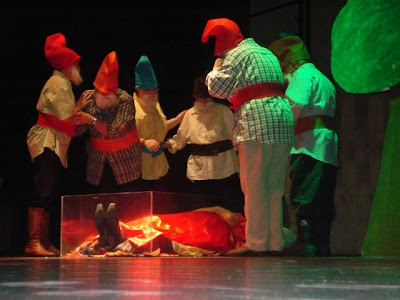 La Escuela Permanente de Adultos representa la obra clásica de "Blancanieves y los siete enanitos", los días 24 y 25 de Mayo en el Auditorio Municipal "Francisco Grau". El conjunto de actores está formado por el grupo de Neolectores y de Español para Extranjeros de la E.P.A. ¡ Esperamos que disfruteís con la obra ! 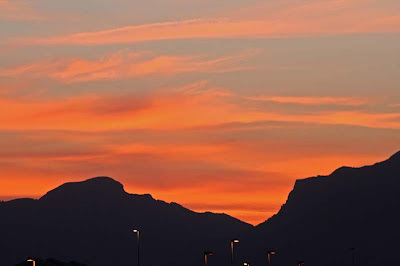 The town in the Alicante province with the largest number of registered expat residents is San Fulgencio with 73.9 per cent non Spanish residents. Next on the list is Rojales, with 69.4 per cent of the population being foreign nationals, followed by San Miguel de Salinas (60.1 per cent). 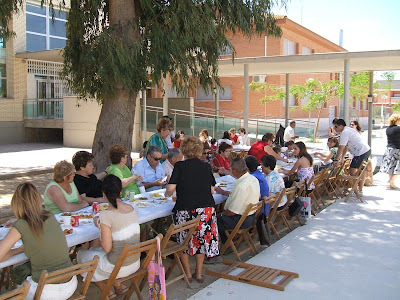 In Algorfa, Benijófar, Hondón de los Frailes and Torrevieja, the number of expats represents between 50 and 57 per cent of the local population. Orihuela, where 40 per cent of the population is foreign, now boasts residents from 100 countries; and again Britons are at the top of the list. European statistics office Eurostat has estimated that by 2030, there will be over a million more residents in the Valencia Region than today. The increase, which would represent a 7.3 per cent increase on the current population, will be due mainly to immigration from both EU and non-EU states. The provinces of Madrid, Barcelona and Alicante account for almost half the number of foreign residents in Spain. Hopefully these increases in ex-pat populations will not adversely affect the Spanish character of these towns. My virus warning on April 1st apparently caught one visitor. Having read that this blog was infected with a virus she decided not to visit it anymore. Hopefully now that it is clear to her that tantodeabril meant April Fool she she will return. Bigger is better - right? Forty years later, Altet is the sixth busiest airport in Spain with almost nine million passengers using it in 2006. Those of you who have visited it recently will know that, starting in 2005, the airport is undergoing major extension works. Once these are complete the airport will have a capacity of 20 million passengers per year, a number that would have been impossible to dream of back in 1967. By 2010; with the help of forty thousand tons of steel, concrete sufficient to fill to 193 Olympic swimming pools, enough marble to pave 14 football grounds and the work of more than 500 people Altet will become one of the most important airports in Spain. The investment for the extension of the airport will be around 400 million euros. The revamped airport will have a six storey car park for four thousand cars and an extended terminal building for passengers with 92 check in desks and 16 telescopic footbridges to the aircraft. I bet there will still be a queue for the Manchester flights though!! I found this map on the official web site for San Miguel de la Salinas. It shows where the new roads will run. The grey line is the route of the new CV95; the red lines the new route of the CV91. As you can see the proposed route of the CV95 bypasses Bigastro but then cuts the town of San Miguel in half. 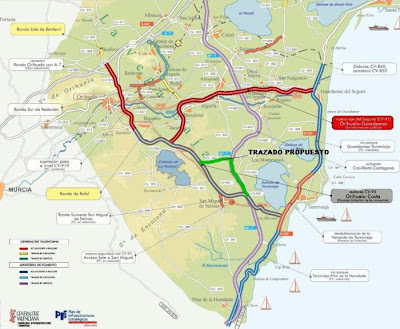 The green line represents an alteration to the route which follows the CV 945 to Los Montesinos and then the existing AP7 motorway down toward the coast. Of course there is a peage on that stretch of the AP7 which would have to be removed for this proposal to work. First, I want to recognize your work as informers of the current importance of bigastro and fertile plaine goes down. I am a "bigastrense" that is abroad and read your blog since one year ago, and this news of my Union Musical, i'm associate and musician of this society, I have been happy with reading it here. Only thank you very much for your effort. Muchas gracias Joaquin. Tu mensaje me ha hecho muy feliz. Estoy alegre que tu gozas leyendo mi blog. Tienes razón ser orgulloso de tu pueblo y de la Sociedad Unión Musical de Bigastro. 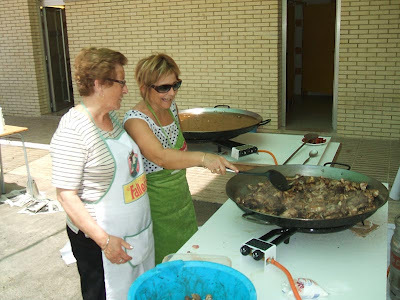 Hemos vivido en Bigastro por casi tres años y estamos aprendiendo a español lentamente. Amamos la gente, la pueblo y el tiempo en España. 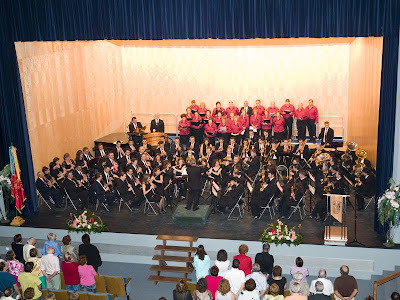 At 8:30pm on Friday the 4th of May at the Auditorio Municipal Francisco Grau the ninth Contest of Instrumental Interpretation for the Vega Baja and the Baix Vinalopo will be announced. 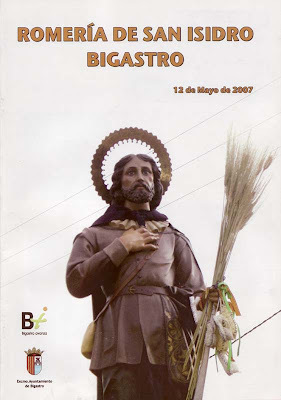 They will also be presenting prizes and awards to the winners of the 2006 edition of the competition and finally around eighty students of the School of Music of Bigastro will present a small musical Rítmico. This year's competition will take place on the 1st and 2nd December. 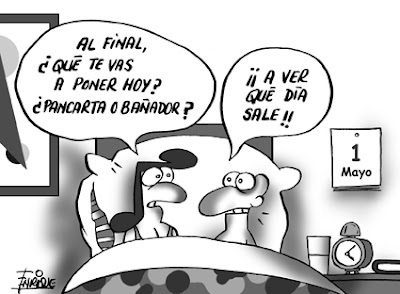 Have a peaceful "Dia del Trabajo". 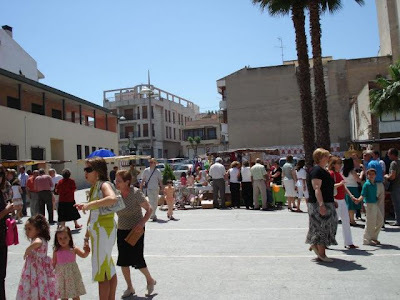 The Association of Promoters and Constructors of Houses of Torrevieja and the Vega Baja (Procosta) have expressed their increasing concern about the reduction of sales of houses. Construction is the main economic sector in the region and a major source of employment. Procosta attributes this crisis to "the bad image" created by the numerous city-planning scandals , the constant rise in the price of houses over the last 10 years and the lack of land on which to build. According to Procosta houses are sticking on the market for six months or more without being sold in spite of being offered "key in hand" . In the boom years of course houses were sold "off plan" i.e. before they were built. Increasingly that is no longer the case. The net result is loss of spending power which leads to a lower demand for goods and services in the area. 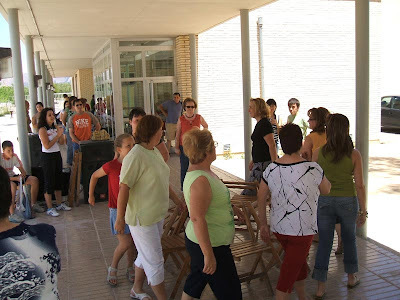 For the first time in 15 years 11,000 people are registered as unemployed in the Vega Baja. According to Procosta the poor image that the area has gained is caused partly by the news of abuses, the out of proportion rise in the price of houses, and the increase in house burglaries . Procosta feel that the Community has stopped being the destination preferred for investment and retirement by millions of European foreigners, specially the British. Procosta suggests that the future mayors of the 27 municipalities of the Vega Baja work to to reduce the crisis. They want them to release land, ensure that the price of houses does not rise, fight against the delinquency in housing estates with police reinforcements, and most important not allow city-planning corruption in their municipalities. The prediction is for a four year lull in sales followed by a return to "boom" years in 2011. 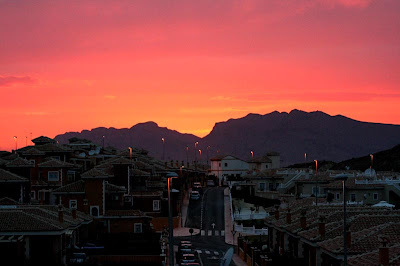 In spite of all that there are still 400,000 new houses planned for the Alicante region this year.